Share moments of coexistence among GBE members. Report the GBE’s progress during the year 2017 (activities, new members and publications). Set objectives and common actions that we agree for 2018. 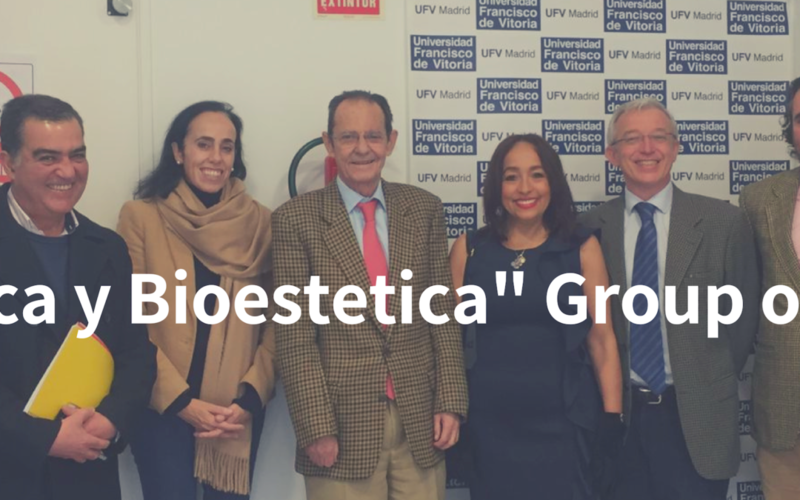 And above all … listen and talk about a topic of interest (the aesthetic experience) that can illuminate and provoke our vision on the subject and its impact on bioethics, as well as to inspire one or several future publications of the members as part of the GBE. The UNESCO Chair will host a cultural and academic encounter on the “Beauty, Living Beings and People: A Look from Bioethics, Aesthetics, Technoscience and Biolaw” in Madrid from November 27th to December 2nd. The scheduled meetings of this event will shape the investigation and work of the International Network of Bioethics, Aesthetics, Technoscience, and Biolaw. Members of the International Research Group Bioethics and Aesthetics will review the chapters of the book project written in collaboration with the UMNG on “Global Bioethics Genomics and Human Improvement in the 21st Century.” Researchers will also discuss the participation into the Summer Course that will offer the Pontifical Athenaeum Regina Apostolorum of Rome, on “Human Enhancement: Bioethical Challenges of Emerging Technologies” that will take place on July 2018, under the direction of the Chairholder of the UNESCO Chair in Bioethics and Human Rights, Prof. Alberto García. This event is one of the fruitful initiatives of our “Bioethics Global Art” endeavor, intending to bridge art and bioethics by studying the relation and interaction between bioethics and art and the impact of art in human behavior, evaluate the impact of the transformative power of arts in research and medical ethics as well as in environmental ethics and bridging the gap between academics involved and working in bioethics and the art world by carrying research activities and publications.